We strongly recommend to test out your games in real life before running them. To test a game you need first to create an event. Testing the games is free. You will not need to spend your team credits to test games. Use the same event for testing you are going to use for live event. Testing does not send up any results and team is not registered, so you are not messing up your results table when you test event that is about to go live. 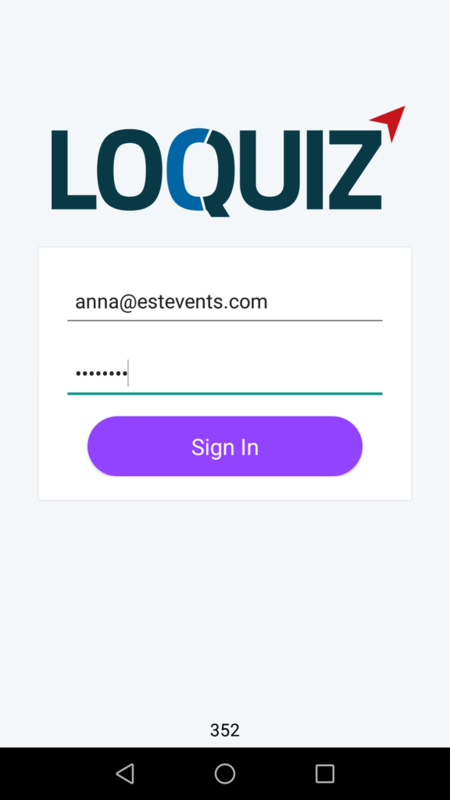 1) Start Loquiz app on your smart device. 2) Log in to the app with the same email and password you use for login to Loquiz PRO when creating games. When you log in to the game with event-specific username, testing is not possible and events list is not shown. 3) You are presented with a list of all open events. Press “Test” under the event name to play in test mode. 4) When game is opened, press “Start” and begin testing, you can play through the full game. Teams will not be taken off your account balance, so you can test as much you need without losing any teams. Results will NOT be uploaded to the results page. Chat messages will appear on the results page. Delete them before the real event. Word “TEST” is shown on the screen. Additional link to online results page is shown in the game’s main menu. So instructors can easily access results via smart device when they are logged in with PRO username and password and test the game. How to use fake location for testing? You can use fake GPS location (mock location) for outdoor games only. Fake GPS tricks your device into thinking you are in a different location than you actually are. This way you can save time and test the tasks with locations more easily without moving from place to place. Fake location is available only in test mode. Using fake location is really easy. Open the game you want to test IN TEST MODE and start playing, now you can choose from the main menu – Fake location. When you click on it, little red cross will be shown on the screen. Now you can move the map and drag this cross over the task location which you want to open. To unactivate the fake location, go to menu and click again on Fake location button. Read on how to start games for players.